A Third World man in the IMF's upper echelons? Raghuram Rajan, financial whiz, is part of the Fund's soul-searching. At 40 to become the chief economist of one of the world's most powerful organisations and set policies that may improve or tank the economies of developing countries is an onerous responsibility. But Raghuram Rajan is not fazed. With karmic calm, he calls it "challenging". When pressed, he agrees he would have to use his knowledge and judgement to the "best extent" but then adds quietly that those are prerequisites of "any policy job". For someone who has achieved so much in just four decades, perhaps such sang-froid is natural. Rajan comes to the IMF at a time of deep organisational soul-searching. The Fund is examining the dogma of its old prescriptions, which have failed in many cases, and is looking for a mixture of medicines that work. Its role in the long list of recent economic debacles is widely acknowledged—the Asian financial crisis in 1997, Russia in 1998, Brazil in 1999 and 2002 and Argentina in 2001. The critiques are no longer the hitherto easily dismissed "knee-jerk" leftist condemnations but sustained appraisals by world-class economists, Nobel laureates included. Rajan will require all the weight of Milton Friedman's Chicago School to which he belongs, to ride this one. The Fund is seeking new solutions. Why else would a finance whiz be called to a position held by macroeconomics masters? Rajan will become the highest-ranking Indian national in the current Fund-World Bank hierarchy, the twin instruments of world economic policy and globalisation. He was named last week by IMF managing director Horst Kohler to be the economic counsellor and director of the research department, a post he will assume in October. Kohler talked effusively of Rajan's "exceptional rise within the economics profession", his extensive experience and a proven record of intellectual leadership. Currently a professor of finance at the University of Chicago business school, Rajan has also been a visiting professor at Northwestern, mit and Stockholm School of Economics. 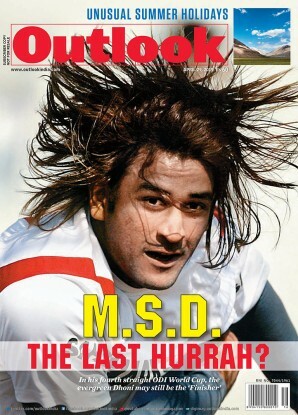 Interestingly, he moved to economics from engineering (IIT, Delhi) via an MBA from IIM, Ahmedabad. His six-page-long resume is formidable. But apart from writing a stack of award-winning research papers, his most interesting contribution to the esoteric world of economic theory is the recent book, Saving Capitalism from the Capitalists, written with fellow economist Luigi Zingales. The book won rave reviews for its cogent analysis of how capitalism is subverted by the insiders, the incumbents who, having climbed to the top, throw the ladder away and skew the rules against the people. The book argues that free markets need rules to flourish but they are often set by dominant industrialists and well-connected bankers who want to protect themselves. Although many may have felt this to be true in their hearts, Rajan and Zingales document it—from the Tudor to the Bush era, the latest example being recent US tariffs on imported steel. The Young Turk is not afraid to take on the Republicans at a time when opposition to Bush's policies is found mainly in foreign newspapers. 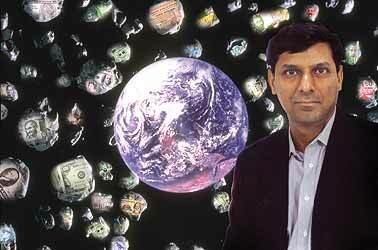 Shooting straight, Rajan asks: "Are Republicans for capitalism or for the capitalists? Being pro-market and being pro-rich are not the same. It has never been so." He recently warned that unless Iraq's oil wealth is more widely distributed than in other oil-laden states, it would be hard to turn the country into a democracy. But observers say that Kohler's decision to give Rajan the hot seat is a "big gamble" for the IMF management". This is a break in policy far more serious than people realise. Everyone will look very, very closely at failures on part of the management and if Rajan does half as well, he will be OK," said a source familiar with IMF operations. The coming of Rajan might means the "days of macroeconomics ruling the Fund are over.He is the new kid on the block". The new kid takes over from Kenneth Rogoff whose public spat last year with Joseph Stiglitz, a former chief economist at the World Bank, did much to rip IMF's stiff-upper-lip image. Stiglitz, a Nobel Prize winner, had shredded IMF policies apart in his book Globalization and its Discontents, saying they often kill the patient instead of nursing him back to health. He accused the IMF of applying "market fundamentalist" solutions to countries on the brink—raising interest rates, removing controls on capital and cutting deficits. It was a voice IMF's critics immediately embraced. Rogoff fought back, calling Stiglitz's ideas "snake oil", but insiders say the pressure of the job got to him—fighting fires the world over, facing finance ministers of sinking economies, managing differences within the IMF. He decided to leave early and head back to Harvard. It is this kind of political storm that Rajan will have to manage—a far cry from eager graduate students who give him high approval ratings. "I see this (Rogoff-Stiglitz bout) as a storm in a teacup. It got blown up because of the personalities involved. Most economists would agree with 80 per cent of what Stiglitz said because it is viewed with hindsight. The IMF was trying to do its best given the information it had but there was no malevolence," Rajan told Outlook. "Part of the problem is that many countries adopt policies which are not reasonable for their people. If you pay bureaucrats huge pensions, you run sizeable deficits and you are borrowing from the people. Some time, this party has to stop. The IMF comes in but the government doesn't listen and it is seen as a failure of the IMF. You are caught between a rock and a hard place," he explains. Rajan says the IMF policies are by and large "sensible" but they need to do a better job of "communicating" them and getting the people to put pressure on governments to do the right thing. He gives India's example and how free electricity in some states benefits the bigger farmers. "The government's role should be to create access to free markets and enhance competition, not pick winners." In some ways, Rajan uses the more reasonable distinctions made possible only after the end of the Cold War and once the Right (pro-free market, pro-rich) vs the Left (pro-poor, pro-regulation) debate matured. His ideas appear to be a sensible blend of hard-nosed economic and pro-people policies. He accepts there's a dark side to capitalism, something anti-globalisation forces will find satisfying. In short: Rajan has a heart. He asks the right questions. He finds it a "little ironic" that the world's richest country is also the biggest debtor as poor countries lend vast resources to the developed nations. Growing up in India may have something to do with it—injections of the reality of poverty can provide the right inputs. Besides he has wide interests—eclectic and varied. He reads history, literature and loves the outdoors. And there's cricket. He went to watch the World Cup with his students at 1 am as India battled hard. Rajan enjoys everything from Tolstoy to Tolkien and finds Upamanyu Chatterjee "wickedly funny". He says he "feels" Indian though he can't decide if living in the US has changed him in an essential way. "It's hard for me to disentangle changes that stem from living in America from those that stem from my own ageing and maturing." He visits India regularly to see his parents—his father retired from the Indian Police Service—and to consult with Securities and Exchange Board of India. Married to fellow iim graduate Radhika, Rajan is protective about his children's privacy. And last heard, he was house-hunting in Washington DC.